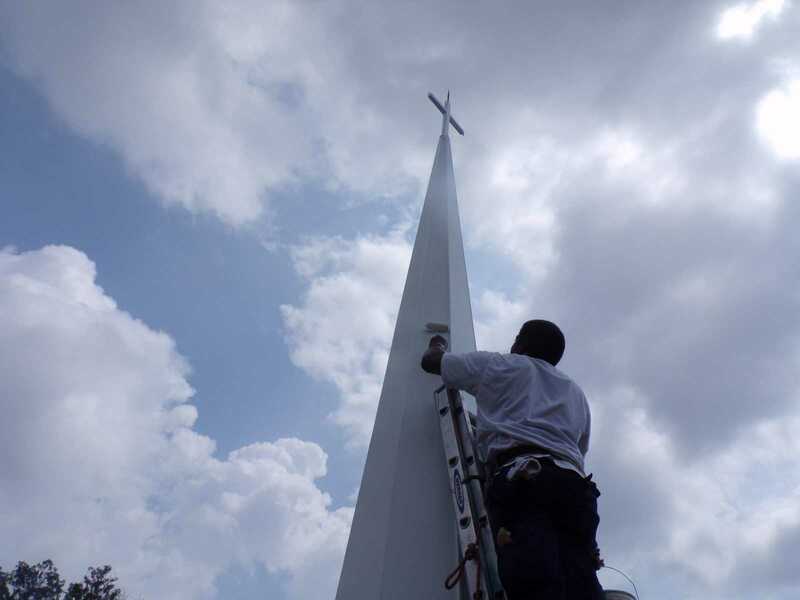 Looking to repair your fiberglass steeple? Fiberglass steeples can be attractive, inexpensive steeples for the church but they are not as maintenance free as many would believe. Continuous exposure to sun and rain can have serious repercussions. Over time the clear coat breaks down and the now porous surface can become dingy, develop leaks and even experience vegetative growth. 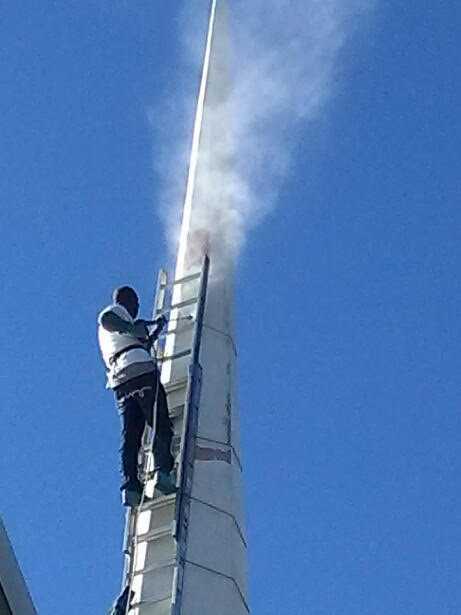 Fiberglass steeples are often secured in the attic with 3 or 4 long bolts over a finished and secured roof. This allows the finished roof to deflect any water that leaks through the steeple (typically not water tight). However, for this reason 90% of churches with this type of steeple develop leaks after installing a new roof. The new roof is usually installed "around" the steeple compromising the roof's ability to properly deflect any rain or snow. 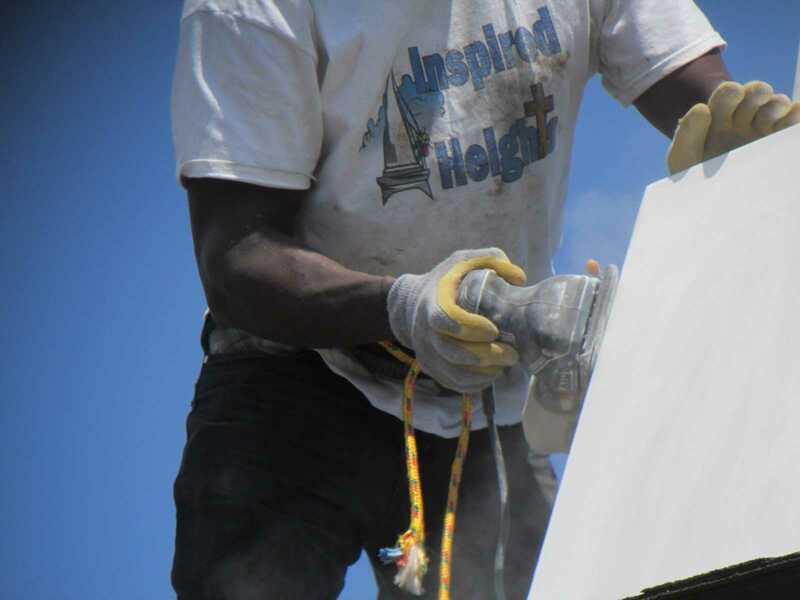 The steeple repair professionals of Inspired Heights are experienced in fiberglass repair and have become very efficient in repairing these "maintenance free" steeples. In addition our licensed roofers are able to properly flash existing prefabricated steeples so not to develop leaks with your new church roof. Pre-fabricated steeples come in many shapes and sizes but they still require experienced contractors to maintain. Prefabricated steeples frequently develop problems as they're expected to conform to the existing church structure, often creating gaps that leak and supports that fail. 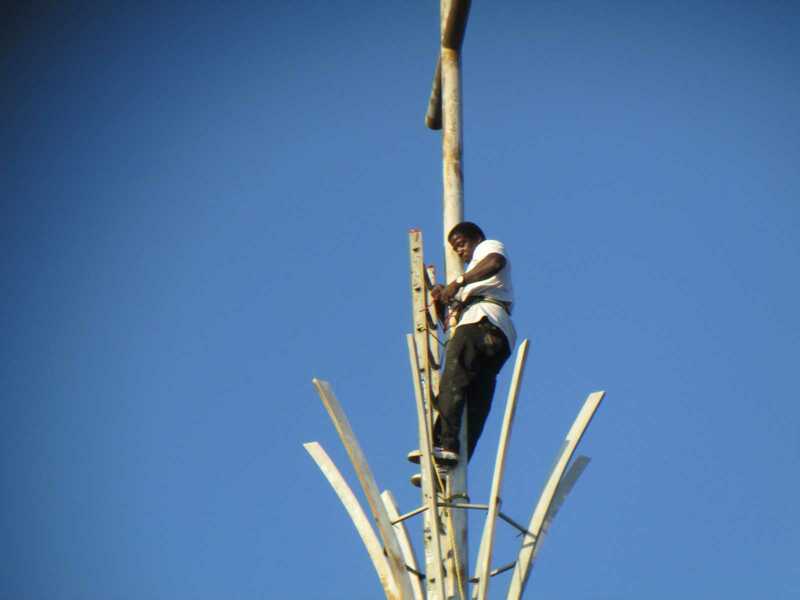 Our prefab steeple repair professionals can make custom repairs to your prefabricated steeples.